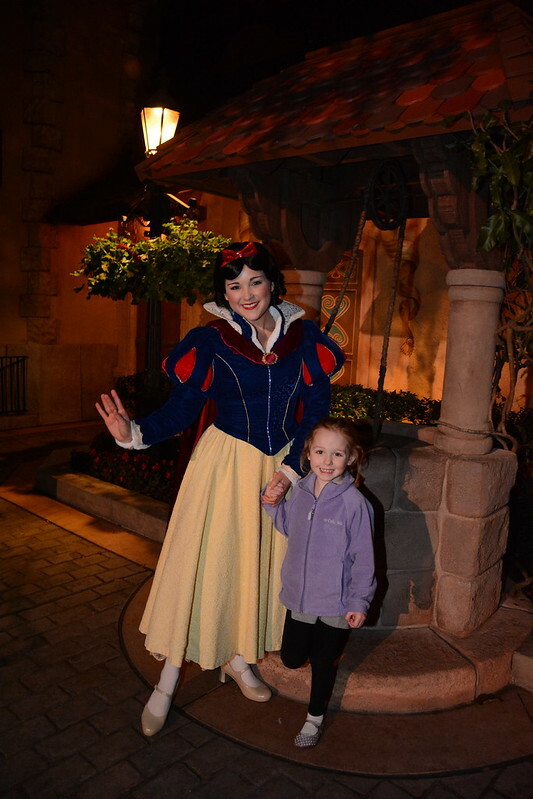 Discussion in 'Disney Trip Reports' started by lhermiston, Jan 17, 2019. Aww. Wishes used to choke me up a little bit after Robin Williams died. There’s a line from Aladdin, “Genie, I wish for your freedom” that always gets me know. Watch it on YouTube with your kiddo sometime. And no, I’ve never been to Disneyland (or really California/West Coast, for that matter). I’ll get there one day. OMG. I can't watch Wishes now!! Even the part with the Genie in HEA made me lose it. I really miss RW. Disneyland is my favorite park (which in turn makes MK my favorite WDW park), so I am excited to hear about how to feel about DL once you make a trip out that way! Professor_Cookie, Neon Cactus and lhermiston like this. I still get all the feels about Robin Williams/Genie, but it’s a good reminder my cold, dead heart is still capable of emotion. I have heard good things about DL. I want to check out Guardians and Fantasmic, especially. Oh! And Matterhorn. Basically, everything. Baloo in MI, Professor_Cookie, Neon Cactus and 1 other person like this. Second that! Did you ever see the Robin Williams pre-animation show from the Studios? Professor_Cookie and lhermiston like this. Nope! But I got to participate in the old sound effects show featuring Chevy Chase and Martin Short (??) once! Professor_Cookie and jennamfeo like this. That's awesome. I loved that show! Lee, it's been great to read your report and see all your pictures... I'm definitely going through some withdrawals for what was such a cool trip. I don't know if I'll make it back to do the Dopey again, but I'm so glad I did it. It truly was an incredible experience. I should really put together a trip report whether I post it or not... It's such a great idea to capture everything about the trip while your memory is fresh. Going through your description of the marathon really took me back... It was such a blur in the moment, but as I read your report I was able to re-live so many of the experiences. I had totally forgotten about the sponges and the washcloths. I actually hung on to my sponge and used it the rest of the race. It was an absolute lifesaver. I wish I had paid more attention to the photographers. Most of my photos, I'm either taking video on my phone, fiddling with my Garmin, or I'm sporting a really pained look. It's kind of funny, actually. You mentioned something in your report that I was really curious about. I noticed this in all the races, but it became really obvious in the full. I was nearly 0.4 miles off on my Garmin once I finished (my Garmin showed that I had ran 26.6). It got further and further apart with each mile. I can understand how there could be areas where I wasn't taking the direct route (a couple of bathroom breaks, character stops, etc.) but not enough to account for nearly half a mile. Has anyone on RD or elsewhere mentioned why most of us could be that far off? Thanks for the great report. It looks like you had an awesome trip with your family. Glad it went well. Good luck with future races! I’m glad you’ve enjoyed reading. I’ve enjoyed writing this. Not only do I get to relive the trip, but it jogs (no pun intended) my memory about little details I’d forgotten. Plus, it’s another opportunity to interact with some runDisney all-stars and revel in a shared experience. As for your gps being off, that’s fairly common and I believe it can be attributed to not hitting the tangents as much as you think and GPS being inexact. @DopeyBadger posted about this back in the marathon weekend thread and had a graphic to illustrate his point. Professor_Cookie and a-mad like this. Like @lhermiston said, it's mostly going to come down to three things: GPS accuracy, tangential running, and your character/bathroom stops. 1) GPS accuracy is only within about a 10m halo. So if you do a one second ping on your GPS (my recommendation), then you may find inaccuracies because of the halo. If you do a less often ping (like 3 seconds), then the GPS trace has to draw a straight line between those two dots with less information between them. Thus, you end up with a slight inaccuracy in addition to the halo every 3 seconds. Over the course of a really long race like a marathon, that can add up. 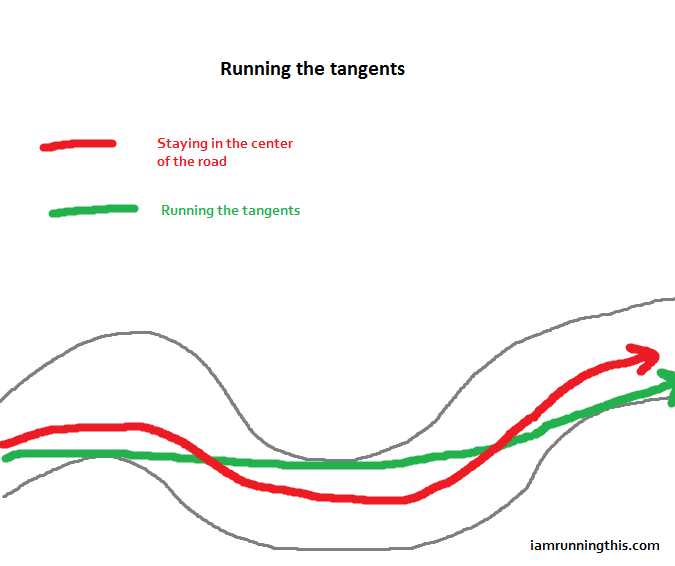 2) Tangential running. Sometimes the tangent is sneaky. It's not always correct to hug the curve. And at Disney they've got a lot of wide sweeping turns, and a lot of long "S" snake curves. So that's going to add up the distance as well. 3) Bathroom breaks obviously will add a little distance. But additionally, character stops will too. Try it sometime. Turn your GPS watch on and just lay it on the ground. Come back in 10 min and see what kind of distance you racked up. It's likely to be a non-zero distance. Thus, just standing around for characters adds distance because the GPS is constantly pinging around that 10m halo around your watch. Those things add up and you end up with "running extra distance". But it's entirely possible you could run all the tangents at Disney, run exactly 26.22 miles, and still not get 26.22 miles on your GPS. That's a GPS issue and not a course design issue. 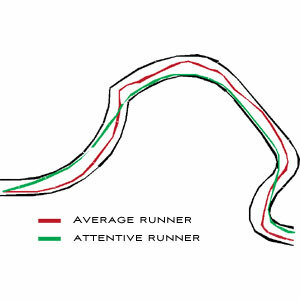 That's why they don't measure a course using GPS but rather using a more complicated (yet simple) method. 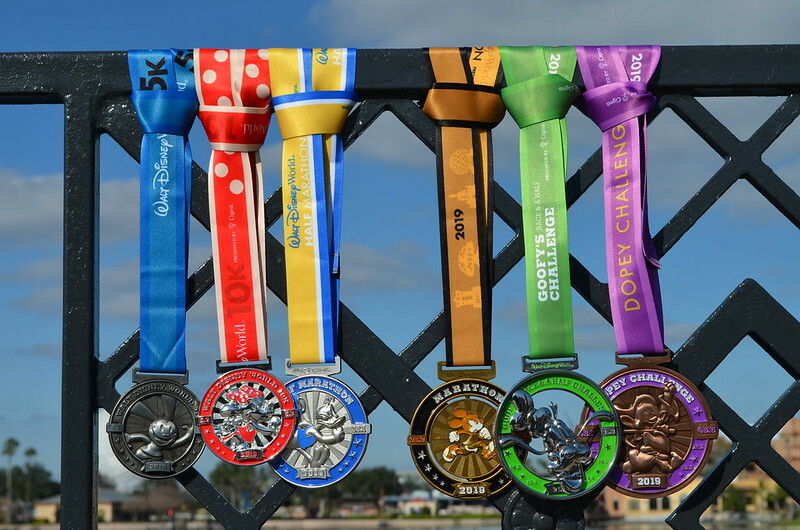 For me personally, I've run Disney 5 times (although not this exact course from 2019), and gotten 26.44, 26.33, 26.44, and 26.41. I started near the front of each race and ran a mostly clean tangential race without stops. There were a few occasions I deviated for water stops. But in reviewing my GPS trace, I'd say that's where the fault was moreso than anything I actually did in the race. In all marathons I run, I add a 0.6-1% adjustment to pace to account for the likely GPS error. Professor_Cookie, a-mad and lhermiston like this. Thanks for all the great info @DopeyBadger. It makes sense. I guess it was a little confusing because in other marathons I've ran I haven't been that far off, despite aid station/bathroom breaks, etc. We only did a handful of character stops that didn't have a line, but I guess it all adds up... plus the many twists and turns of this course compared to the others I've ran I'm sure makes a difference. Sorry to hijack your trip report @lhermiston! Professor_Cookie, DopeyBadger and lhermiston like this. I tried to sleep in the day after the marathon, I really did. But, it wasn't in the cards, so I got up and showered. Everyone was still asleep so I went down to the cafeteria and got some food. Our original plan was to take the boat down to Disney Springs, maybe have some lunch down there and then I'd join in Drinking Around the World. Instead, I finished breakfast and no one was stirring in the room. 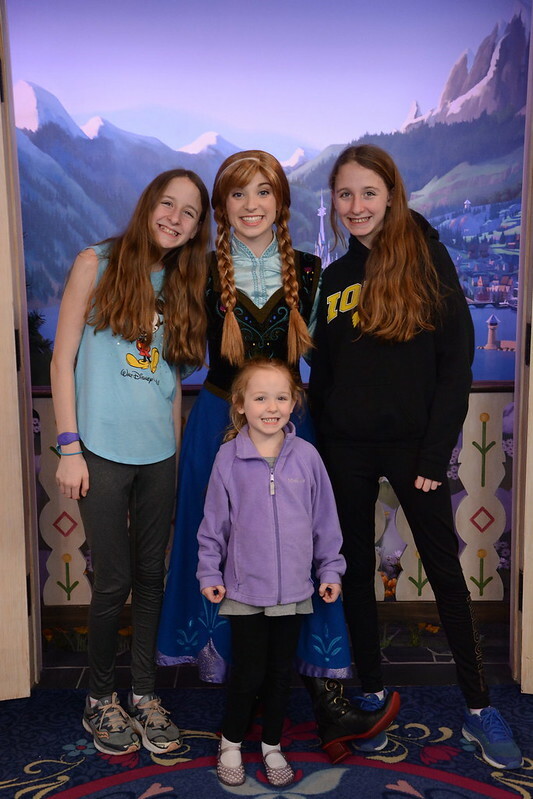 Hannah and the girls had gone to Disney Springs earlier in the trip, had a pretty lame time and didn't have any desire to go back. I did want to check out DS since some changes have been made since we were last down there (I think it was still Downtown Disney), but Epcot sounded more appealing. 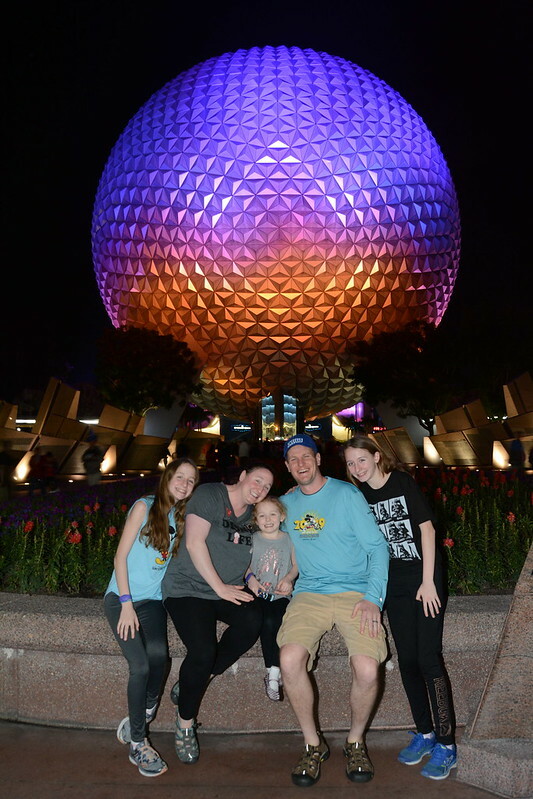 So, I grabbed my camera gear, said goodbye to Hannah (who was barely awake) and headed to Epcot. I think I got there a little bit after rope drop and with time to spare before the 11 a.m. start of DATW in Mexico. When I got in, there was nothing I was really dying to do. I grabbed a Sprite to burn a snack credit (I still had approximately 50 million left) and then went into Art of Disney. I checked out the medal/photo frames and was eyeing the 3-medal one, but didn't buy anything. 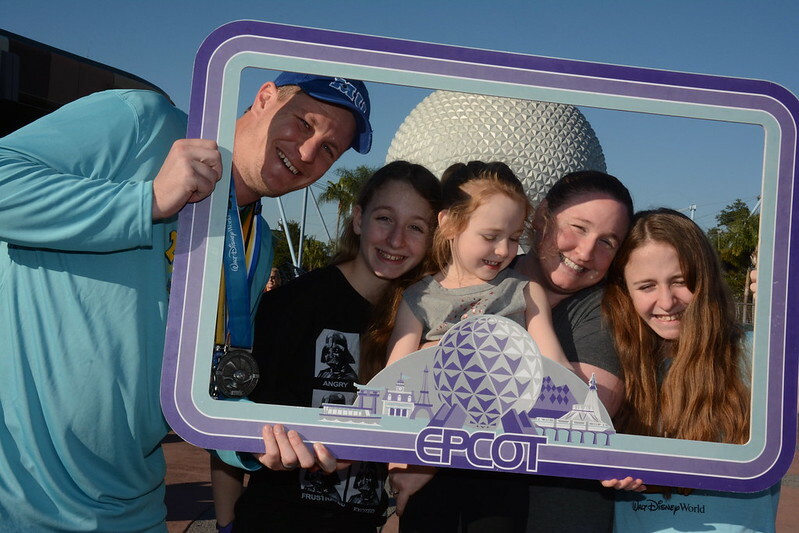 I'd still like a new medal rack, maybe one specifically for my Disney medals, but maybe that can be a father's day gift down the road. After checking out another gift shop (Mouse Works? ), I decided to get in line for Test Track. Despite having gone to Disney four times in the last 10 years or so, I'd never ridden it. Tough to do with kids who can't ride it and a wife who isn't interested, I suppose. I hopped in the single rider line and waited maybe 15-20 minutes. Not that I minded, there was nowhere I needed to be. 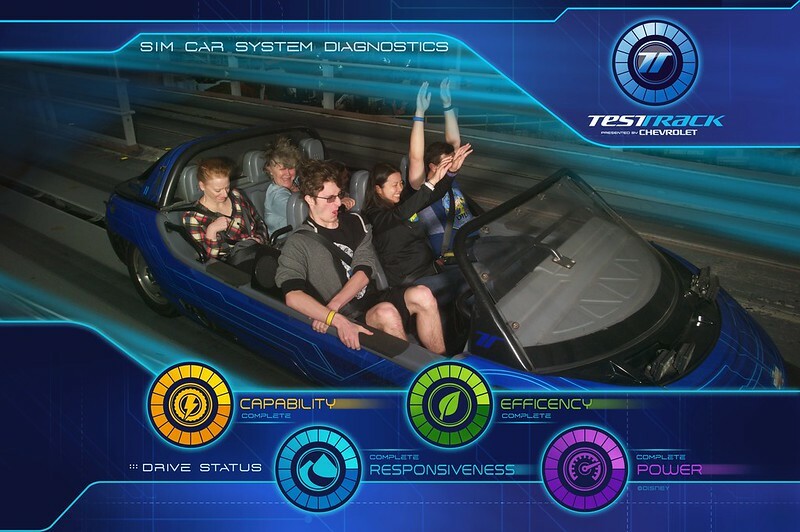 Ultimately, the ride was ... fine, but nothing special (Sorry Test Track fans!). I guess I don't see the hype, but I also don't go to Epcot for the rides. It's much more of an ambiance, stroll around peacefully sort of park for me with a couple of decent attractions. This is not me dumping on Epcot, it's my second favorite park, I just love it for totally different reasons than MK. After Test Track it was close enough to head over to World Showcase. I got to Mexico and wasn't sure where the exact meeting place was or if I'd see anyone I recognized. Fortunately, as I walked by whatever counter service restaurant is right at the beginning of the pavilion, I spotted @jennamfeo at a table. I went in, said hi and grabbed a drink (frozen margarita, I think?) from the counter. From there, I chatted a bit with @Keels, who excitedly told me about her near worst-finish for the marathon and Dopey. Next time, I think you've got it, Keels. I sat down and talked with @Novatrix and another couple for a while about jobs, races, etc. It was a gorgeous morning and great to just sit, relax and have a couple of drinks. After a bit, we moved to Norway and Hannah texted me they were finally up and heading to Epcot before too long. In Epcot, I grabbed another drink (beer) and talked with a few folks for a while, including @garneska and @PrincessMickey. Hannah and the girls eventually found me and we went to grab lunch with me planning to jump back into DATW later. We went to the America pavilion and got lunch at Liberty Inn. I got the fried shrimp basket. Call me crazy (or just poor white trash, both fit), but I freaking love the fried shrimp at Disney. I'm sure it's bagged, frozen and just deep fried into oblivion, but it always tastes really good. I also grabbed a frozen drink at a nearby stand, I think it was lemonade and bourbon. Pretty tasty, but not particularly strong. We ate lunch at a relaxing pace and when we were done, Hannah and the girls were going to go do a couple of rides while I did a little more DATW. We went our ways and I ran into the group as they were posing for a group pic in Italy. I was able to get in on the pic, but I got cut off when it loaded. Bummer, but I'll live. Unfortunately, almost everyone had a reservation for lunch, so I grabbed another frozen drink in Italy and chatted for a while with garneska, Bert and @camaker. It was a really nice day, though a little chilly in the shade. Still, I can't complain about any Monday spent outdoors drinking. After a while, those of us chatting split up for food and other plans. I was going to meet the family around 3 for a Soarin' Fastpass, but first I stopped to take some medals photos. After I got set up, some dude who also ran Dopey complimented that it was a great idea (I'm pretty sure I stole it from @rteetz or someone else) and asked if he could take a pic of my medals. Sure thing, dude. I should have done a better job and got SSE in the photo, but honestly, sometimes after a week of lugging around photo gear and running races, you just stop caring as much. 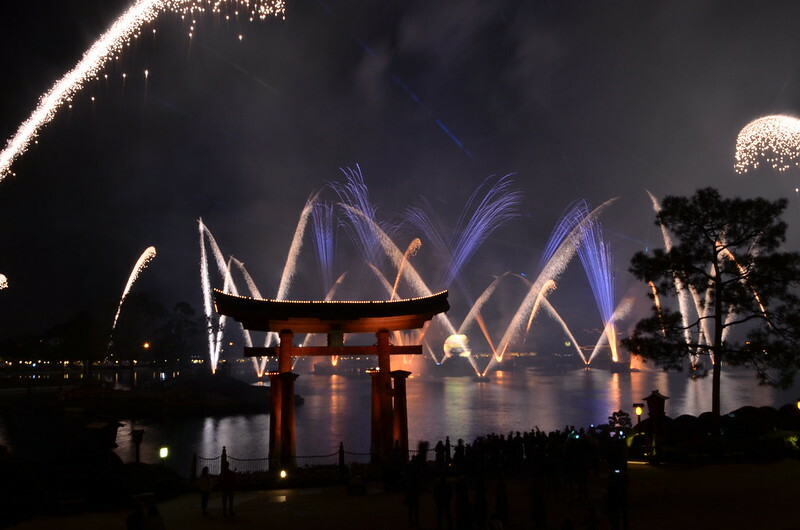 After I took my photos and made my way around World Showcase toward The Land pavilion, but I first stopped in Japan for a sake slushie or something like that. A bunch of it fell all over the place, but it was still pretty good. I found Hannah and the girls around 3 and we did Soarin' followed by Living with the Land (I think?). After that, I noted it'd been a while since we had a failed family photo (not really), so we stopped to take some family pics. Only 40 percent of us with our eyes closed, not bad! There were others, but honestly, I look kind of fat in them and don't feel like sharing. After photos, we made our way to the entrance and grabbed a bus to Animal Kingdom Lodge for our 5 p.m. reservation at Boma. I'd been excited about this one for a while and I wasn't alone. The menu looked really appealing and we've never been to AKL before, so I was eager to check that out a bit. We got to AKL a little early and were able to check things out just a bit before the restaurant opened at 5. Then we were quickly seated, gave our drink orders (I'm counting that as drinking in Africa for DATW) and started digging in. If you haven't eaten at Boma DROP WHAT YOU ARE DOING AND GO THERE NOW. It was seriously really, really good. In the case of this trip, it topped Ohana. I had two bowls of the seafood gumbo over some rice which was probably the best thing I ate the entire trip. I also had a bowl of sausage stew, some chicken, prime rib, ribs, salads, mashed potatoes and some desserts. The highlight was truly the seafood gumbo. I would go back to Boma just for that. We also ran into another family from Iowa City. I didn't know them, but that's pretty random. 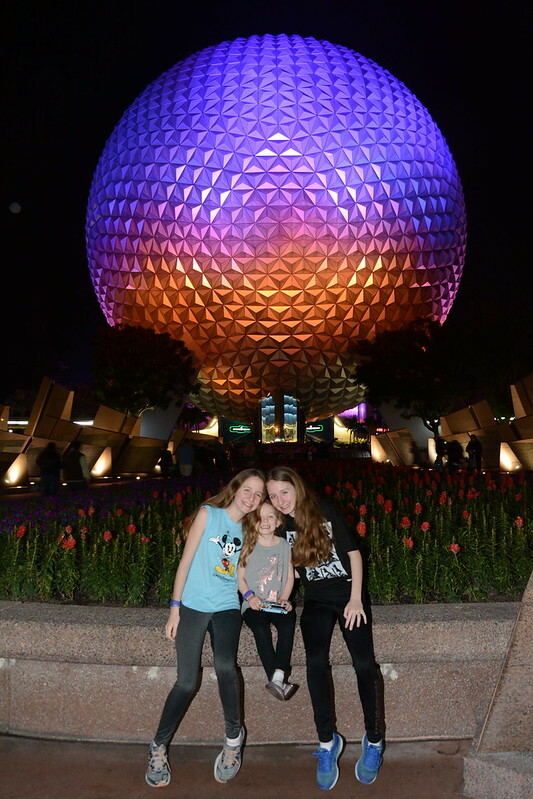 Once we were sufficiently stuffed, we went back to Epcot. I wanted photos in front of SSE. These ended up turning out okay, IMO. Might even frame the family one. This time around, I wanted something different. 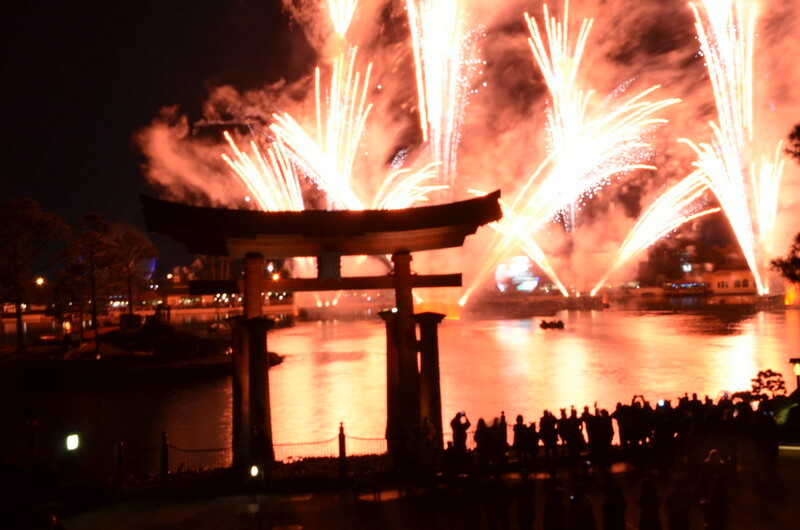 The Torii gate seemed like a good idea. Tom Bricker recommends shooting from the second story of the department store in Japan and, lo and behold, there was plenty of space to set up there, so that's where I went. Hannah and the girls sat down by the fence to get a good view since they weren't worried about photos. It was pretty chilly by this point and the wind was blowing a bit. 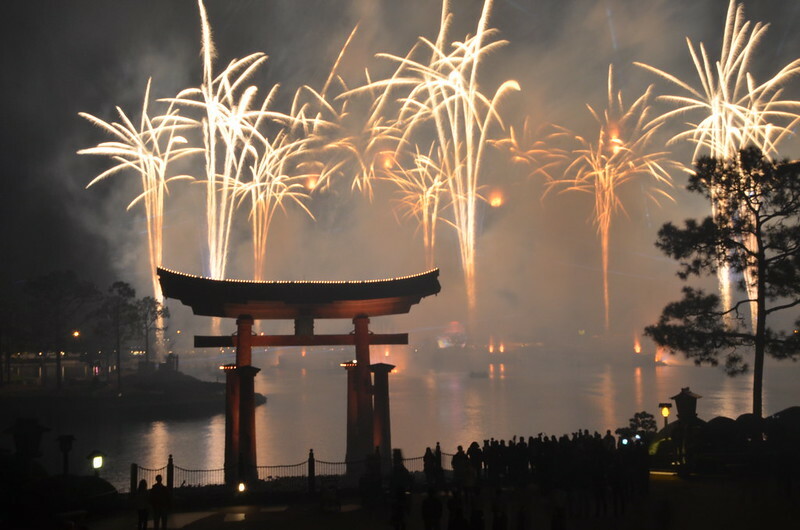 I thought about grabbing a drink to check Japan off my list, but my camera and tripod were set up and I didn't want to lose them or my spot, so I gutted it out and waited for the show. You can't win them all. I really can't complain, I had TERRIFIC luck (thanks to a healthy amount of planning) with fireworks locations and photos this trip. All told, it was my best Disney fireworks vacation yet (though I've had better overall photo trips, albeit with *significantly* more shooting and less running). After IllumiNations, we headed out. That was it for the parks this trip. kirstie101, jennamfeo, emilyindisney and 9 others like this. I do medal photos like that however I certainly am not the first to do that so steal away! I’m stealing from you and Tom Bricker, so you’re in good company. 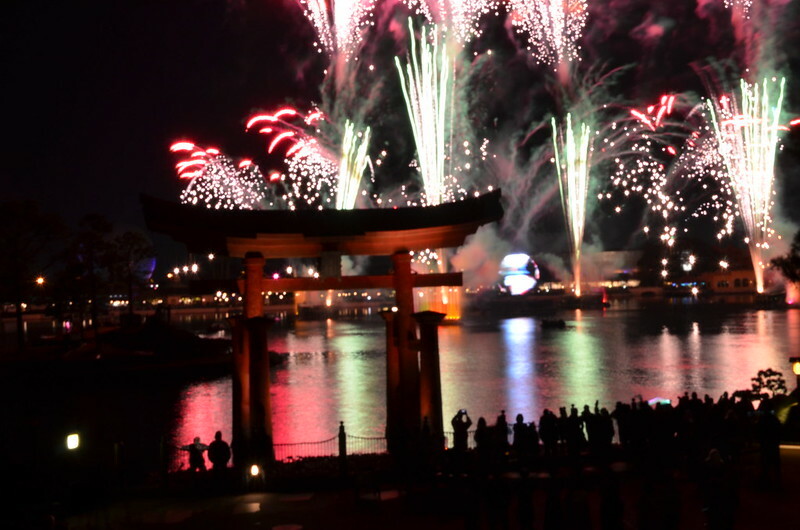 Great photos of Illuminations! I totally agree with you on Boma. I don't remember them having the seafood gumbo when we had dinner there, so I'm going to have to go there again. Their breakfast is amazing too. That and Ohana are the two places I have to eat when I go on longer trips. Boma was incredible! It’s my new top Disney restaurant. Ohana is a close second. mankle30 and Professor_Cookie like this. I love your fireworks photos! Thank you! It’s a labor of love. 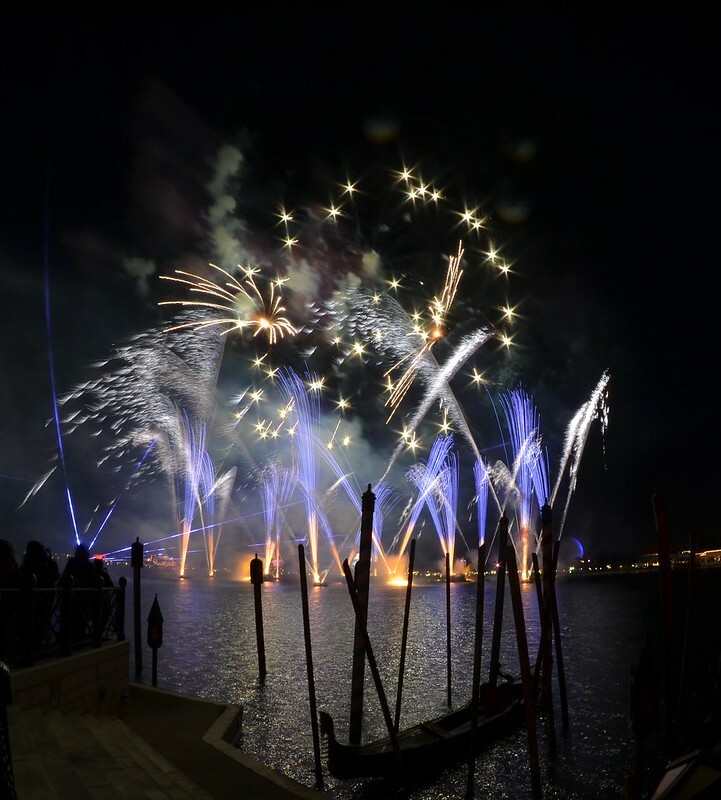 Great fireworks photos! That third one down is my favorite! That picture of the fam in front of SSE is perfect!!! Definitely frame that. It took a week, but we finally got a good one. I think that'll be the one we get framed. We have a family photo from our other two full family trips that are matted, framed and we paid a calligrapher friend to do some different phrases, quotes, etc. on the matte. I'll have to post pics of them sometime. Still need to come up with a plan for the next project (first one we had Walt Disney quotes, second one we had Disney movie quotes). run.minnie.miles and jennamfeo like this. Definitely frame worthy! I love how you did wording on the mattes! Maybe you could do quote from WDW rides? "Zip-a-dee-doo-dah zip-a-dee-ay", "Yo-ho yo-ho," "Jambo!,"This here's the wildest ride in the wilderness!" lhermiston and jennamfeo like this.